Next week is ShowCanada, so what could be more appropriate than a long profile of the CEO of Canada’s largest cinema company, Cineplex Entertainment’s CEO Ellis Jacob. Lots of interesting information here, like the fact that close to 40% of revenues come from “premium offerings”, such as VIP screens, Imax and 3-D films. He said he hopes that within five years, 30 percent of box-office revenue will come from “other than Hollywood movies”. Meanwhile, Cineplex has started extending company brands outside its theatres: there’s a YoYo’s Yogurt Café in Guelph, Ontario, and a Poptopia is about to be launched in Toronto. USA – If you are a PlayStation fan, you will be able to watch Sony’s E3 press conference in on of 40 cinemas (sorry, USA and Canada only). But will it be in 4K? Sony will be giving gamers a new option for watching its upcoming E3 press conference: your local movie theater. The company announced on its blog today that a live version of its PlayStation E3 2014 press conference will be shown at movie theaters across the United States, bringing with it some extra content and exclusive footage. 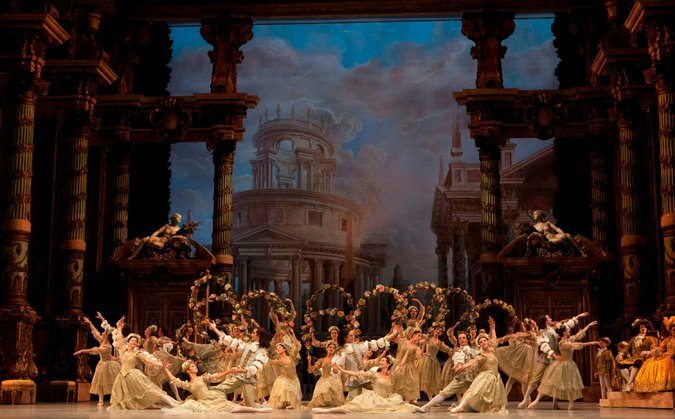 France – The New York Times looks at cinema opera screenings in France, which despite its great opera tradition has lagged the likes of the Met and ROH in findings its way to the multiplex. In Paris, the decision was delayed for administrative and artistic decisions. The late Gérard Mortier, who was director of the Opéra de Paris from 2004 to 2009, reportedly hesitated because he saw the screen as a barrier to the opera experience. Then there was the knotty problem of renegotiating contracts with the artists and musicians and with the television stations that historically have had audiovisual rights for performances at the Paris opera. 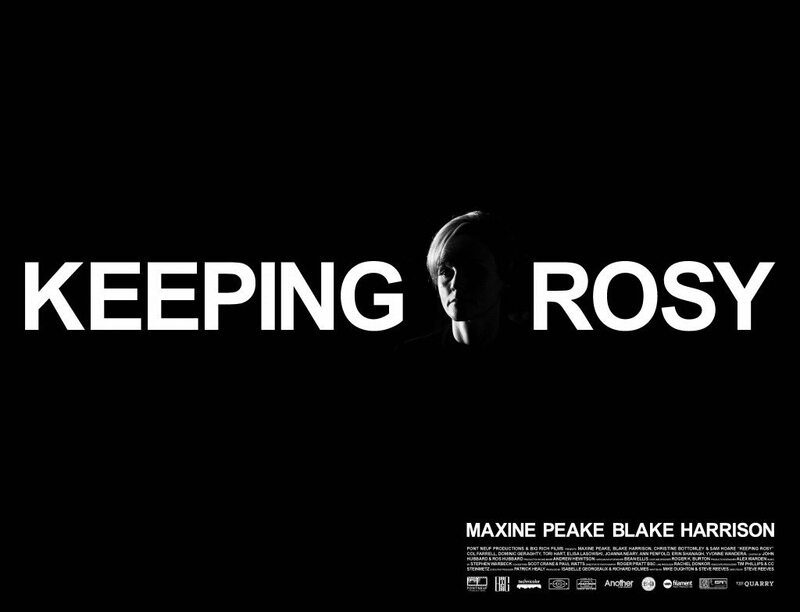 USA – Hope For Film/Truly Free Film asks ‘What Tech Advances May ReInvent Cinema’s Form?’ The list is pretty comprehensive, but I’m sure readers of CJ can probably think of a few more. Our own suggestion for the most significant technical innovation in cinemas of the future could be… the oven. Brazil – More moves underway in Latin America to enable the transition to digital, this one in Brazil. Russia – Volfoni is trumpeting its presence in Russia and involvement in the Kinorinok. Next week, Volfoni proudly continues its official 3D partnership with Kinorinok, Russia’s International Film Market now in its 94th year. This edition of Kinorinok is held in Sochi, Russia on June 2nd, 2014. It’s one of the biggest events for all members of the film industry in Russia, with more than 1000 representatives from the largest companies in the film industry. Volfoni’s participation is a testament to our growing presence in Russia, as we are currently the 3rd largest 3D provider in the country. 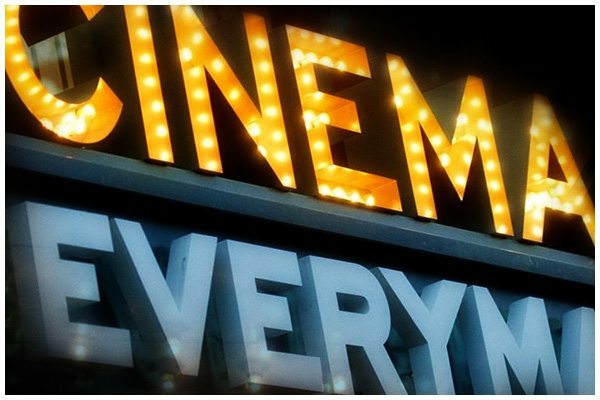 UK – A vote of confidence in Everyman Cinemas from its Chairman. Everyman Media Group PLC Thursday said Chairman Paul Wise bought 50,000 shares at a price of 92 pence per share Wednesday. Following this transaction, Wise now holds 2.6 million shares, which represents 7.1% stake in the firm. UK – A novel way to promote a small independent film: build a pop-up cinema where it will screen exclusively before going for a wider release. USA (NY) – We had overlooked the fact that the reason Hot Tub Cinema came to Brooklyn this summer was thanks to crowdfunding efforts. Now anyone can start a campaign to get soggy-popcorn viewing in their home town. 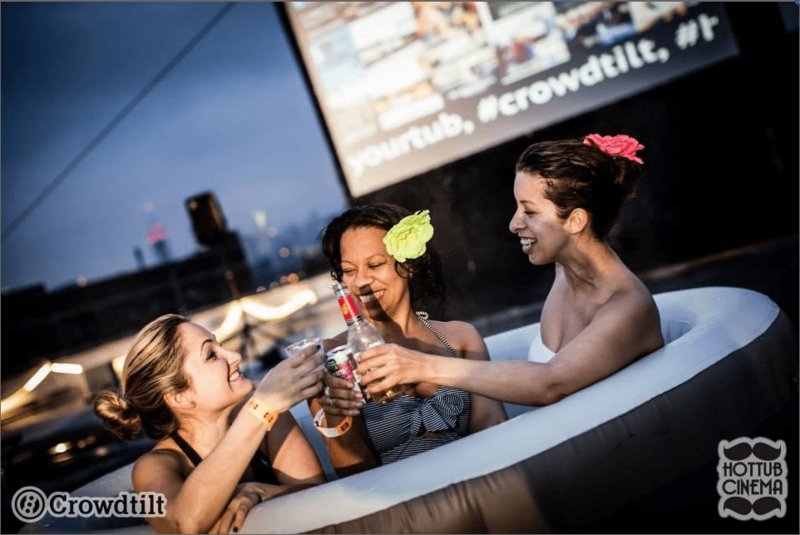 On May 8, crowdfunding site Crowdtilt made just that a reality when they brought Hot Tub Cinema to New York City. This event started in the UK, and Crowdtilt decided to bring it to New York through crowdfunding. UK – Looks like this Welsh county of 180,000 might have to wait longer still for a local cinema, despite the last ones having shut in the 1980s. Caerphilly councillors at the regeneration and environment scrutiny committee received an update on the phase 2 of the cinema project for the town, which has proved more difficult than first anticipated. Now that Secret Cinema has concluded its 21st ‘Tell No One’ production we can tell you that the film was the Coen Brother’s classic Miller’s Crossing. Over the space of two months, more than 16,000 people attended the event, with 30 cast members playing to 450 visitors each night. The production ended with a large finale attended by over 1,000 people. 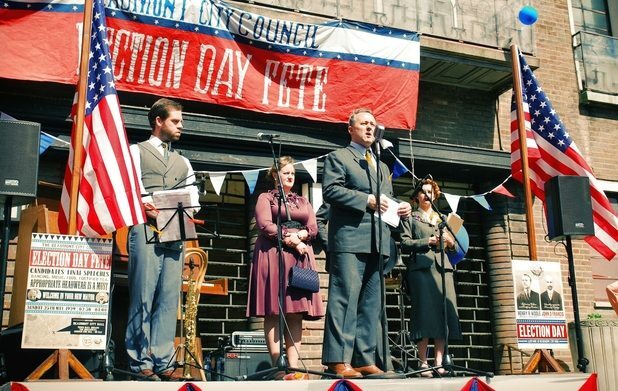 The town hall was converted into an Election Results Day Fete earlier this week.